The Tina Terry Agency welcomes Rory Block & Cindy Cashdollars’ newest project, Sisters of Slide to our roster along with Austin musician, Nakia. Quality in music matters to us here at the Agency, and for that, we are excited to be representing these two astounding talents. Rory Block and Cindy Cashdollar have teamed up together and are touring as “Sisters of Slide”. Rory’s international status as one of the top female interpreters and authorities on traditional country blues and Cindy’s talents of being one of the most in-demand musicians in the American roots music scene for her musical role with so many greats (Ryan Adams, Bob Dylan, Van Morrison, Rod Stewart, Albert Lee and the list goes and on) is what makes this package a must for booking! Together, they will change the way one appreciates the traditional art form of acoustic folk blues and roots music forever. 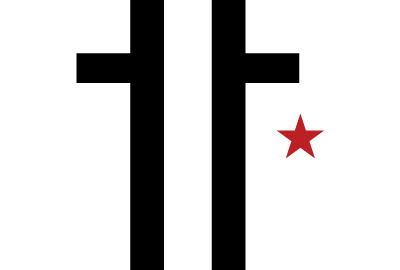 “Sisters of Slide’ is American music history focused around American music purveyors. 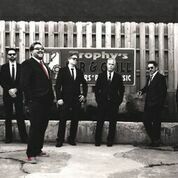 Nakia is no stranger to music in general, but he is a new comer to the blues music scene. Having graced season one of NBC’s “The Voice,” Nakia won the hearts of America with his grizzly voice and his ability to entertain. When Nakia moved from Chicago to Austin, his passion for music grew and caused a change in direction for his life adventure. He friended many Austin musicians who shared the art of quality and the understanding that unique talent was the prevailing key to success. Most notably, Sharon Jones who noticed Nakia’s talent, and invited him many times to join her stage before her passing. Alejandro Escovedo has also taken notice and has extended many invites to join his stage. It was meeting Clifford Antone that he came to know the true history and art of “the blues,” and was encouraged to pursue and record a ‘blues album.” It took time to digest all that Clifford had said and following his advice, he formed Nakia & the Blues Grifters less than 3 years ago and this path has lead him towards his truest life passion. 2018 marks the year that Nakia sets his focus full time on the art of American music and August marks the month of his first Blues release. Please welcome Rory, Cindy and Nakia to the TTA family. Call us today to discuss booking logistics. 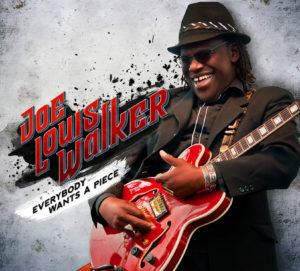 The Tina Terry Agency would like to proudly congratulate Joe Louis Walker on his Grammy Nomination for Best Contemporary Blues Album for his Mascot Label recording “Everybody Wants A Piece”. For updated tour dates and more information about Joe Louis Walker, please visit his official website: http://www.joelouiswalker.com. 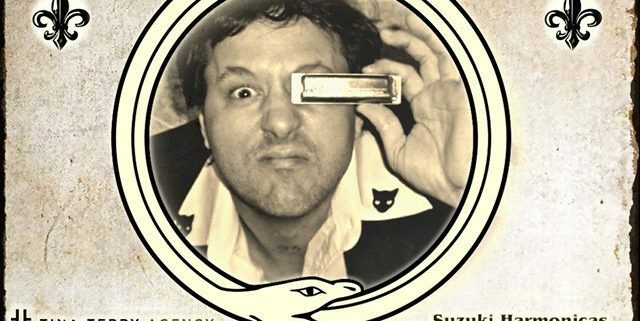 Jason Ricci is one of the most popular harmonica player on the planet today. His music is listed in almost every top ten play-lists on college, blues and internet radio. Jason ‘players player’ his biggest fans are other musicians, from all genres. 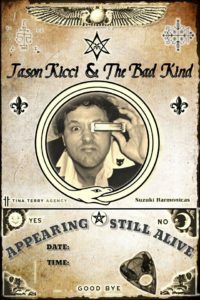 Jason Ricci is in the spot light and on the lips of critics, artists and fans everywhere. Through two plus decades of endless touring, TV appearances, recordings and social media Jason Ricci’s style of playing is so revolutionary and influential that there exists an entire new generation of players imitating his music, clothes, gear and even stage presence. Jason has been an almost constant force for decades in the studio, festivals, club dates and press. Through performing, song writing, teaching, harmonica prowness and activism in the fields of mental health and addiction, it is not an overstatement that this young man is currently changing the world through his music and education. His over blowing harmonica technics are second to none and his song writing, while based in deep blues, is contemporary and relevant. With his personal demons well in check and a killer new band, the bad kind, Jason is back with a vengeance and takin no prisoners, from low down in the alley to out of this world! Look for a great new record in the spring of ’17. *Has received multiple Blues Music Award Nominations 2009-2016, and won a Blues Music Award in 2010. *Jason has worked and / or recorded with Junior Kimbrough, RL Burnside, Nick Curran, Walter Trout, Ana Popovic, Cedric Burnside, Joe Louis Walker, Sue Foley, and many others. His next door neighbor was a music instructor who would host friends such as Cab Calloway, Duke Ellington, and Harry Belafonte in her home. Another neighbor, Bill Farris, a blues scholar who worked with noted folklorist Alan Lomax and founded the Center for the Study of Southern Culture at the University of Mississippi, recorded a number of Delta blues artists in his home, including Skip James. 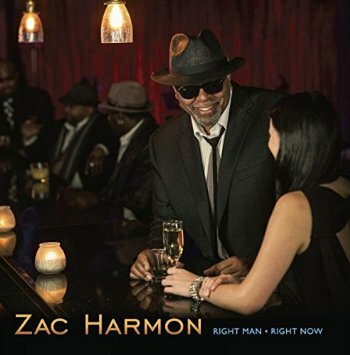 Zac started his professional career at age sixteen, playing guitar with Sam Myers, a friend of his father’s. Two years later he was playing with Dorothy Moore, Z.Z. Hill and other well-known blues artists who were passing through on regional tours. In the early eighties, at age 21, he moved to Los Angeles to take a real shot at the music business. He worked as a studio musician at first and eventually established a very successful career as a songwriter and producer. He worked on major films, television shows, and well-known national commercials, even being hired at one point by Michael Jackson as a staff writer for his publishing company. Harmon wrote songs for the likes of Evelyn “Champagne” King, Freddie Jackson, the Whispers, K-Ci & Jo Jo, and the O’Jays. He also produced songs for reggae band Black Uhuru‘s Mystical Truth album, which received a Grammy nomination in 1994.